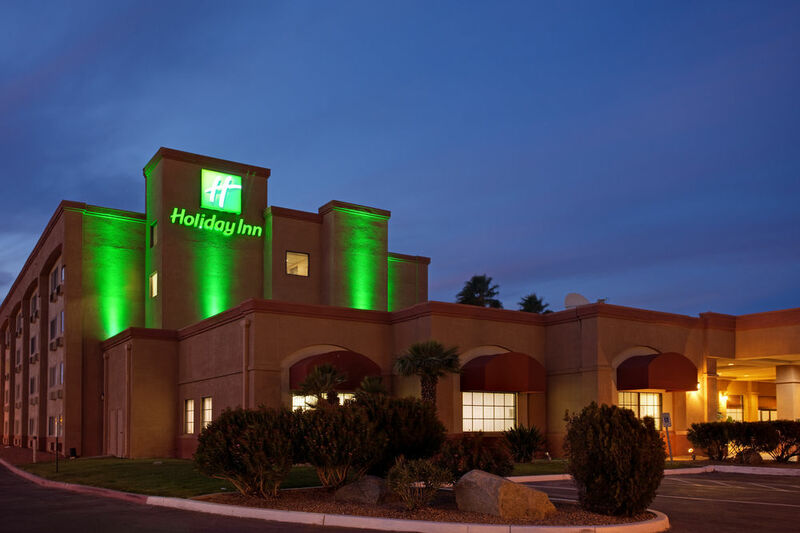 Holiday Inn Casa Grande Make your day hotel stay enjoyable and comfortable by booking your day stay at Holiday Inn Casa Grande. 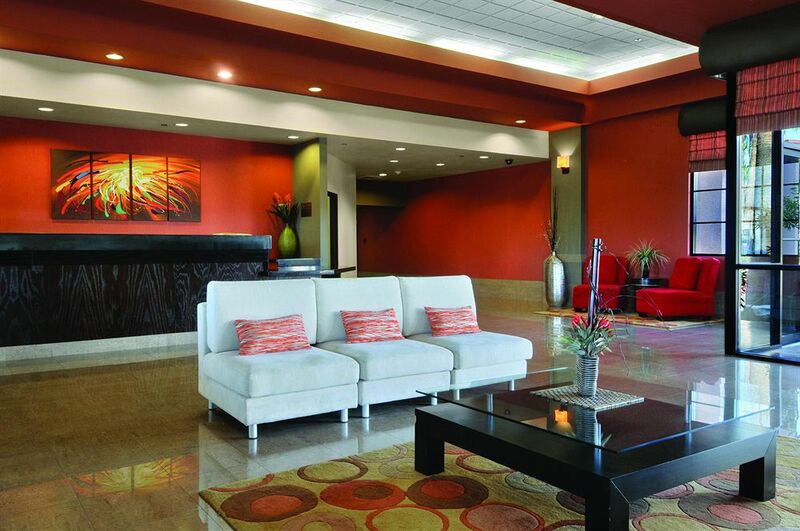 Situated halfway between Tuscon and Phoenix, the modern Holiday Inn Casa Grande is the perfect place for a daycation. The Arizona desert presents a beautiful backdrop to this oasis in the Southwest. 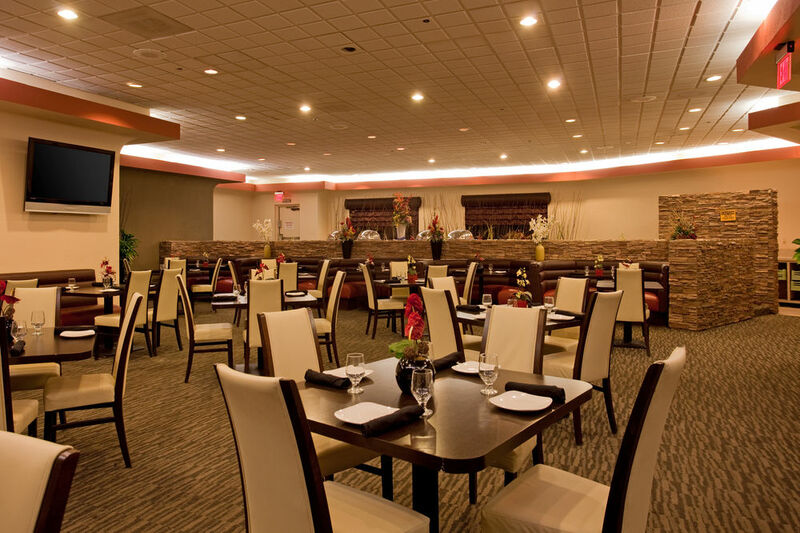 This dayuse hotel packs a lot of charm and amenities into a cost efficient package. 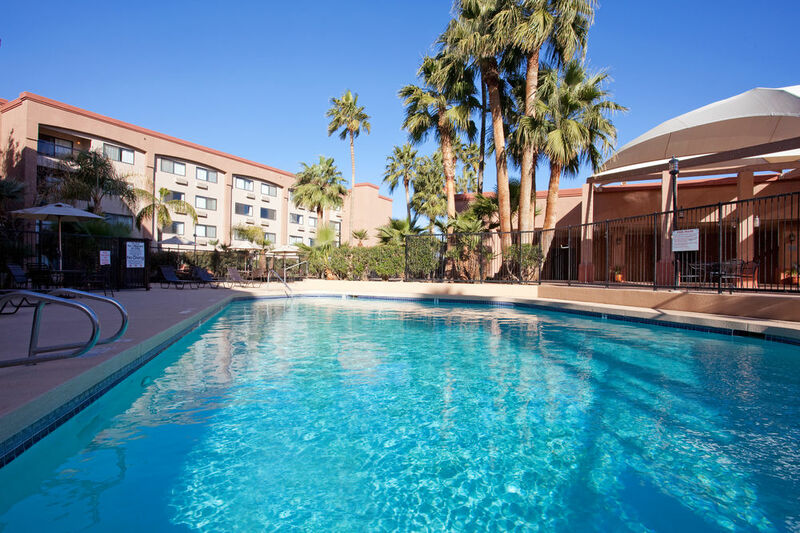 For families on vacation seeking to soak up the sun or businessmen and women on-the- go, the day hotel has something for everyone. With contemporary décor, large sunny rooms and gorgeous grounds including a pristine resort-style swimming pool and hot tub, it feels like a traveler’s dream come true. Topping the whole experience off is the onsite award winning Cabo’s Bar/Grill & Nightclub. 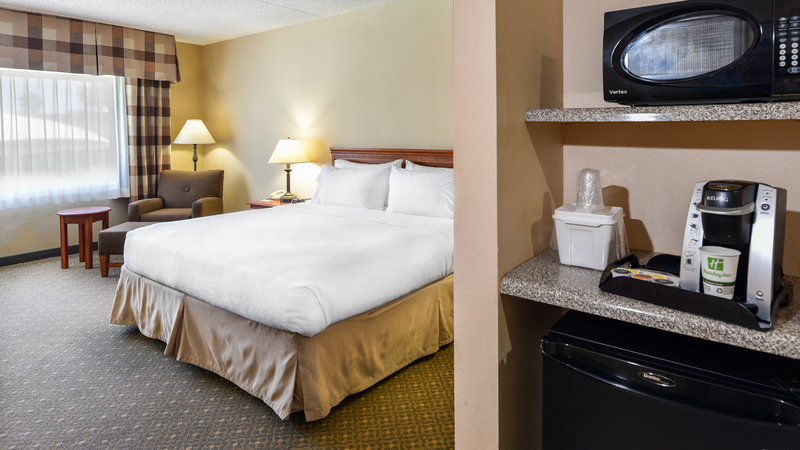 It’s one stop shopping for every traveler’s needs with free internet access, in-room movies, and room service. Families with small children will appreciate the refrigerator and microwave in every room. 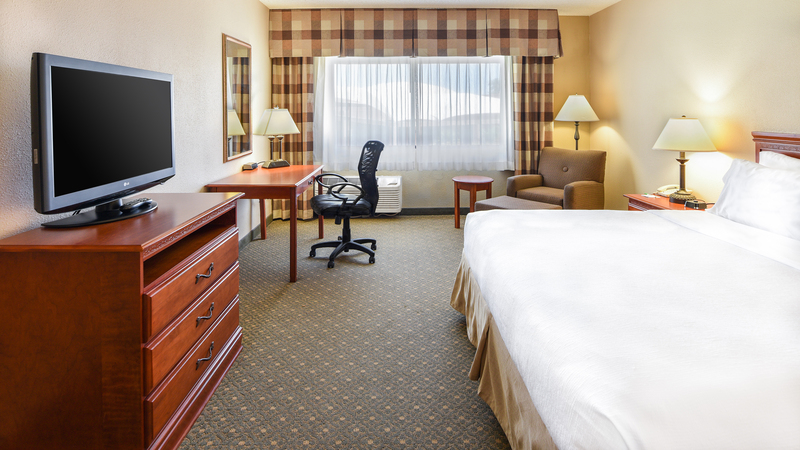 The day booking hotel also includes a business center, an event facility and laundry facilities for busy executives who need to get their work done, and hold an important meeting, while still looking fresh and professional. Fitness enthusiasts are covered too, thanks to the health, spa and exercise center complimentary of this versatile day stay hotel. From skydiving to shopping, there is a lot to do in the surrounding area. Thrill seekers will be thrilled that Skydive Arizona is just a few minutes away. Those thrilled by “saying yes to the dress,” will love the Promenade Outdoor Shopping Mall and Factory Outlets practically across the street. The local casino and fairgrounds offer even more variety to all that one can see and do nearby this same day hotel. Harrah’s Casino – Don’t gamble on a good time, Harrah’s Casino is a sure thing! With bingo, Keno, poker, slot machines galore, and more, we’d bet the farm that every gambler will find the game they’re looking for at this premier daycay destination. Pinal Fairgrounds and Event Center – Just a few miles away, it’s one of the few places that can boast of having a bluegrass festival, a classic car show and a gourd festival in the span of a few weeks. With events like “Family Fun for Everyone at the Pinal County Fair,” the facility really caters to ensuring everyone’s having a great time. Central Arizona Speedway – This is where car fanatics get their zoom on! The track located in Casa Grande features various class and models to make each race exciting and unique. Casa Grande Ruins National Park – Located a few miles away in Coolidge, Arizona, this historical site is a must for every history buff. It’s one of the biggest prehistoric structures built in North America by the ancient Sonoran Desert people. It’s also an educational and intriguing place to bring the kids, it features a Junior Ranger program, guided tours and a picnic area. Free parking – Parking is free for all visitors. Pet Friendly – Accommodations are available to those traveling with their fluffy friends. Modern Health, Spa and Fitness Center – A variety of cardio machines and weight room, provided by this half day stay hotel, is all you need to stay in shape while on the road.